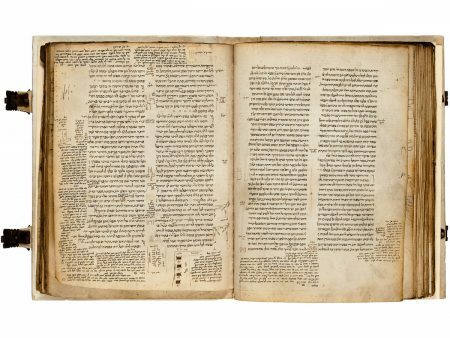 This manuscript is probably among the oldest copies of the first section of one of the most influential Jewish codes, Jacob ben Asher’s Arba’ah Turim (Four Rows). In this, the first of the four parts of this halakhic work, the author deals with laws about prayers and the synagogue. Jacob was the son of another great rabbi and codifier, Asher ben Jehiel. At the beginning of the fourteenth century Asher left Germany and settled in Spain, “a German rabbi on Spanish soil.” In the works of father and son the teachings and methodologies of two distinct rabbinical schools found a harmonious blending, as they display both Sephardic and Franco-German aspects. In the sixteenth century Jacob’s code was characterized by Rabbi Abraham Zacuto as “very useful, for both the learned and unlearned, [as it was] better organized than all previous [works].” Perhaps the main reason for the success of the Turim is that it has a “universal Jewish character.” The canonical Shulhan Arukh by Joseph Karo follows the arrangement of Jacob’s Turim. Eidelberg 1962; Galinsky 2006, pp. 3–23; Yuval 1988; Zimmels 1971, pp. 415–417.